Check out my newest post with highlights from Toy Fair 15 just held in New York: Click here. Well grandparents, just in case you don’t know Toy Story is the big character theme of the times. On Friday, June 18th, the movie, Toy Story 3 was released. Tom Hanks is the voice of Woody in all three of these Disney-Pixar films. Toy Story 3 was the #1 movie this weekend and it is getting rave reviews from adults and kids as well. Pixar knows how to make great animated films and Disney knows how to market their characters. In February at the Toy Fair and in April at the A Time to Play Showcase I got to see many Toy Story items - some not yet available in stores and we weren’t even allowed to take pictures because Disney did not release the rights to use “Toy Story 3” yet. I’ve been saving my “Toy Story reviews” for the movie release so here it is. The Toy Story character has been licensed to many companies so there is a huge variety of products with this theme on it. In addition to toys, you can of course buy sheets, towels, clothing and god knows what else. I am just going to feature a few of the more interesting toys I saw in person – out of the box and so I could see how they work and feel. Keeping with my preference for connecting grandparents and their grandchildren with updated versions of toys we remember, my favorites were Mr. Potato Head, Monopoly and LEGO/DUPLO playsets. Mr and Mrs. 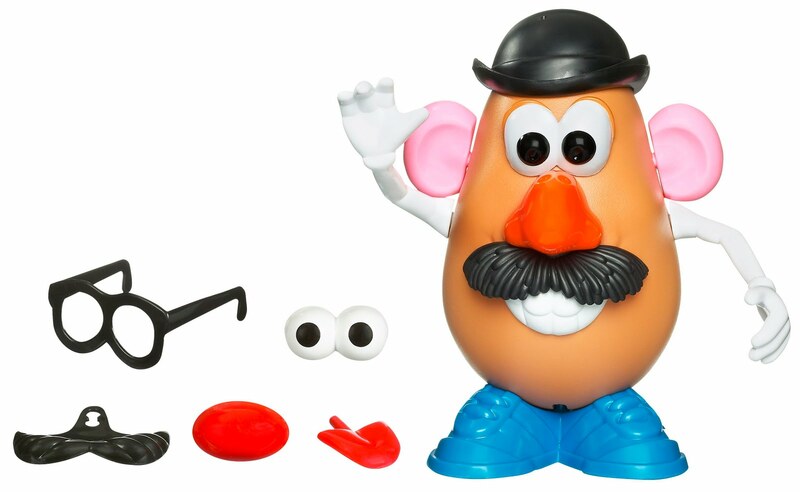 Potato head are characters in the Toy Story movies and Hasbro/Playskool has released Toy Story versions of the traditional Mr. and Mrs. Potato Head. They are not expensive like so many toys these days are, and they can provide hours of imaginative fun. I like this also because it is a toy that you can play with or watch a grandchild play and it doesn’t take a lot of room so you can easily keep it at your home for when a grandchild visits. There are both the Mr. and Mrs. versions so it works for boys and girls.I remember playing Mr. Potato Head myself and enjoyed introducing him to my kids. Zach should be ready for Mr. 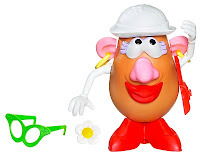 Potato Head about when Toy Story 4 hits the movies. LEGO has a great new playset – Woody’s Roundup featuring Sherrif Woody and Bullseye saving Jesse at the gold mine and Stinky Pete is in jail. 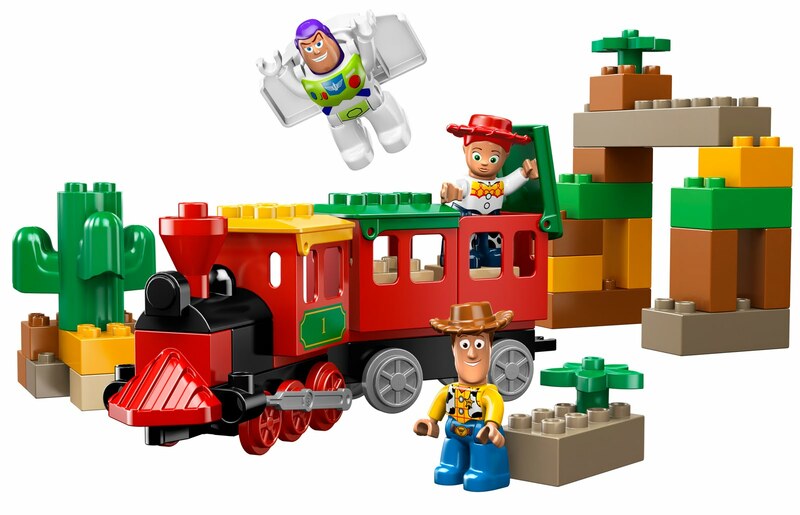 For the under age 5 group there is a Toy Story 3 DUPLO set with Woody, Buzz Lightyear and Jessie figures in The Great Train Chase theme set with a locomotive and a caboose. Both sets have other pieces - I've just listed the main ones. You don't have to be a kid to have fun playing with either of these sets. When I saw them at the LEGO event at the Toy Fair in February I couldn't keep myself from moving the pieces - especially the train. If there are children in your life who enjoy LEGO and DUPLO toys, they will love these sets. We loved playing board games with our kids – especially at our summer cabin which still does not have a TV. There is a big push to revive interest in board games with "family game night" being promoted by Hasbro. Many of our old favorites are being updated with a Toy Story theme including Memory, Yahtzee, checkers, Tic Tac Toe and more. Monopoly was always a favorite in our family. Now there is Toy Story Monopoly. The player pieces are Toy Story characters and the properties are Toy Story places such as the Parr's family home, Gll's Pirate Skull, Edna Mode's Mansion and more. In all honesty I haven’t seen a Toy Story movie yet. But I have seen a massive number of Toy Story theme toys. Chances are your grandchild will love a Toy Story theme toy and these were my favorites. Enjoy. The winner of the Insect Lore Butterfly Bungalow is SueEllen. Congratulations SueEllen! Please contact me privately at marionconway@aol.com by Sunday June 13th so that we can arrange delivery. 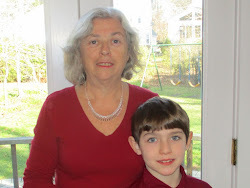 Zach’s First Birthday – What a Celebration! Yesterday was our grandson Zach's first birthday and we hosted the first birthday party. This is a picture of Zach with his parents, Fran and Josh, as we all sang Happy Birthday. Wow! What a day! Zach is our “lucky weather charm” so although the weather forecast was for showers it was sunny and warm. Well, perhaps hot is a better description than warm. We set the food up inside and the tables outside so that people came in and out. The pretty little girls ages 2 and 3 in the most darling party dresses along with Zach were the children’s contingent and we were about 15 adults. Zach is a party boy and doesn’t mind a crowd at all. One of his birthday presents was a pool we gave him – for our backyard - and the kids had fun playing in and around the pool. The Little Tikes swing was another big hit and the Little Tikes teeter totter hand me down from my niece (Its like new - Could it really have been used for 3 kids?) was a big favorite with the two little girls. For entertainment the adults talked about the weather, our vacation plans, the kids and enjoyed the food. Zach’s other grandmother made her signature deviled eggs and cole slaw. I think I could eat enough of the deviled eggs to die of a heat attack right on the spot – they are the best I’ve ever had. Whenever we are having a family party and Doris asks what she could bring I always say deviled eggs. I made some of my favorite dishes too but here were the big hits – sliders, deviled eggs, ice cream bar. In the future for any children’s party or summer barbecue, I will definitely have sliders on the menu. They are just fun to eat. For dessert we moved inside and Zach changed into his birthday boy outfit – how cute! The ice cream bar with 3 choices of ice cream, chocolate syrup, whipped cream and berries, banana and mini M&M toppings made everyone feel like a kid. Zach enjoyed his first piece of cake and shared the chocolate icing from his hands on several of us. Zach had fun opening his gift s and the Fisher Price Racin Ramps Garage from Aunt Sonny provided a challenge for Josh to put together as Zach didn’t wait to explore its possibilities. The Mega Bloks Fill and Dump Wagon is going to get a workout too. But somehow I think there will be more "dumping" and "filling" for awhile. Here’s one observation – the toys get BIGGER when you turn one. Zach is not a “baby” anymore. He really is a toddler. And we are all more likely to refer to him as a “boy” than as a “baby.” When did that happen? It seems like a warm June day yesterday when he was born.